High enthusiasm for sports enabled a UTARian to achieve triumph in the Unleashed Fight Night 2016, the first inter-university martial arts competition which was held at Asia Pacific University in Bukit Jalil on 28 May 2016. 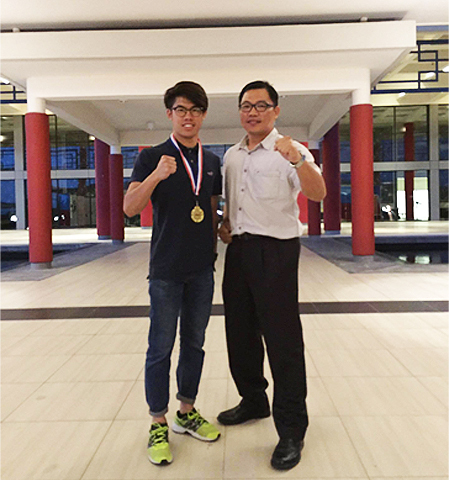 It was indeed a proud moment for Chong Zhuang Kit, an Accounting student from the Faculty of Business and Finance to secure a gold medal in the 57-kg male kickboxing event. Jointly organised by Asia Pacific University’s Muay Thai Club and Global Elite Gym, the competition was aimed to promote martial arts among Malaysians, raise the standard of kickboxing, develop sportsmanship, and foster a close association and interaction among university students. 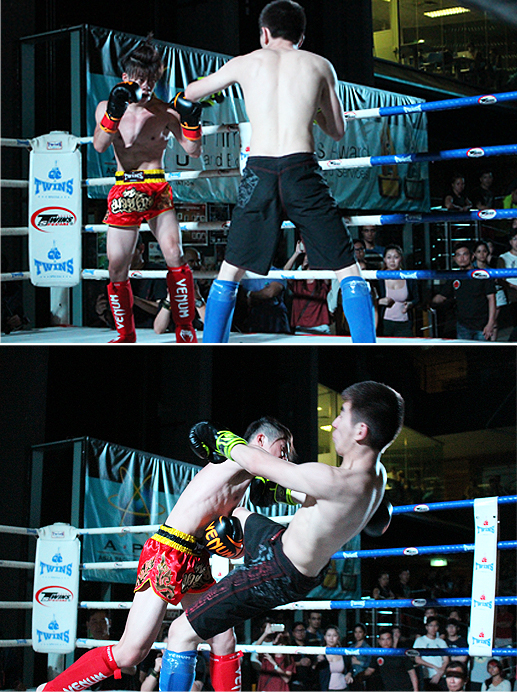 There were a total of 12 fights held throughout the two-day competition. The competition saw more than 20 participants from nine countries including Malaysia, Iran, France, Australia, Kazakhstan, Russia, Iraq, Afghanistan, and South Africa.